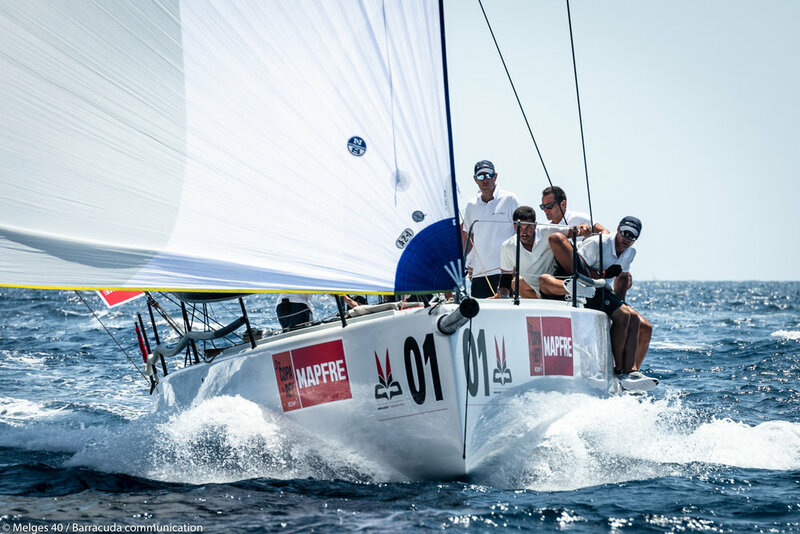 (1 August 2018 / Palma de Mallorca, Spain) - The Melges 40 made its grand debut today at the 37th edition of Copa del Rey Mapfre. Three races were completed with the usual thermal of Palma in place. 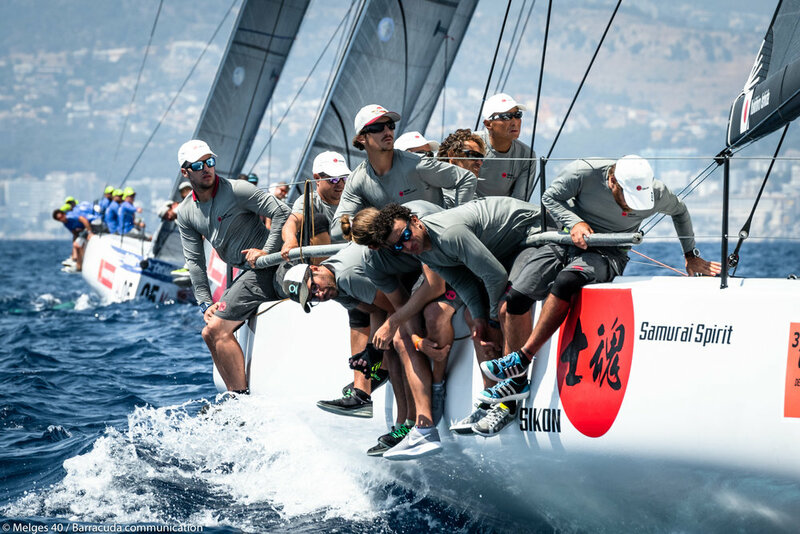 At the end of Day One, Japan's Yukihiro Ishida (Manu Weiller, tactican) aboard SIKON is practically on equal terms with Alessandro Rombelli's STIG (Francesco Bruni, tactician). It's no real surprise to see Ishida in first place overall, especially after his previous Palma success at the final event of the 2017 Melges 40 Grand Prix circuit. Palma is home to SIKON tactician Manu Weiller. Who else would know the race course of Real Club Nautico de Palma better? "We are in front, but today was not an easy day," said Weiller post racing. "The first race was tough because our set up was not quite right, so it was hard to be competitive. Eventually, we found the right balance, improved our speed, and played our cards right on a race course that did not favor one side over the other, so we had to work hard to avoid losing precious meters. The team raced well today as a whole, now we have to continue in this direction and remain focused." Ishida's SIKON team was not the only ones benefiting from excellent starts today. 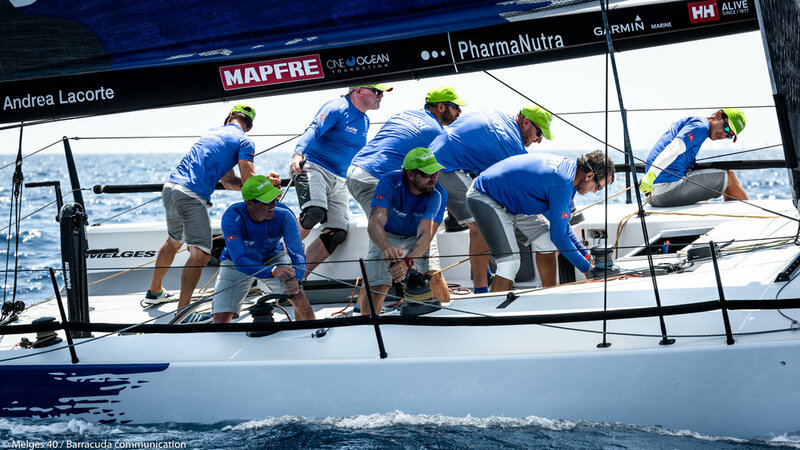 Andrea Lacorte's VITAMINA-CETILAR (Alberto Bolzan, tactician) had the satisfaction for the first time since his Melges 40 Class debut to be atop the standings after two races. A tough fourth place finish in Race Three forced him to surrender the lead to Ishida. The day also bears the signature of Rombelli as he came on strong early to win Race One. A solid performance puts him in second overall, dead-even in points with Ishida. For season circuit leader Richard Goransson on INGA, today seemed like an uphill battle. After a penalty in Race One and an OCS in Race Two, Goransson and his team clawed their way back everytime, back into the heart of the battle.